The New Dogsnug Harness is designed for pull distribution and for cooling your dog down on hot summer days. Available in some stunning colour variations, on trend and always fun and vibrant. The harness is ideal for warm days out due to it's cooling panel on the chest area. Just dip in water and wring out excess for a pleasant cooling experience (Cools by evaporation). 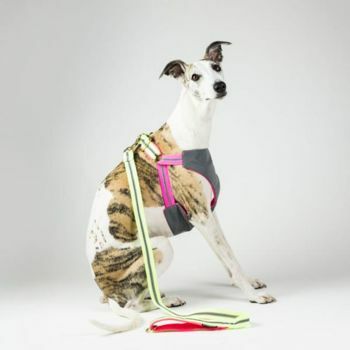 Dog's ideal places for cooling (other than by panting and cooling their paws) is the chest, neck and belly, making this harness a really good addition to your summer must haves for your dog. This dog harness is light, soft and gentle on the dog's skin, to avoid any chaffing or pressure on dogs with sensitive skin. It has been designed with as minimal construction as possible so that is comfortable and light for your dog to wear when riding in a car or when running or walking on the lead. 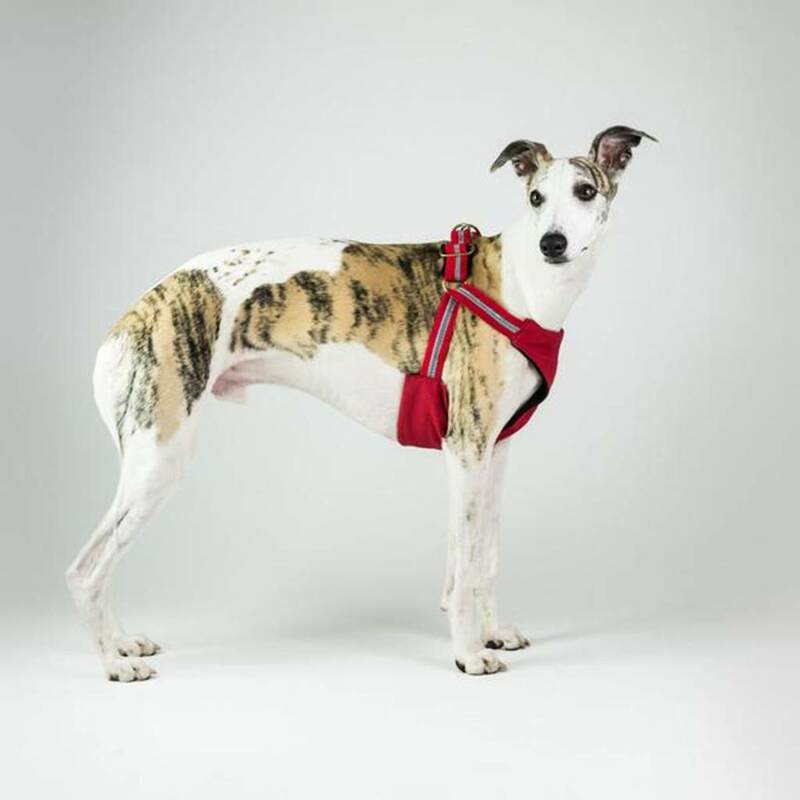 The dog harness features a wide chest area for distributing the pressure of your dog evenly, making the harness excellent for car rides, for running with your dog and for dogs that pull. The weight distribution helps also to prevent injuries on the dog's neck when used instead of a dog collar; and on your shoulders when the dog pulls. Safety is extremely important in harnesses which is why we use solid brass D rings to connect to the car seat belt attachment* when in the car or to the dog lead when running or walking. The army grade straps connecting the D rings to the harness are triple sewn. The webbing straps, although only visible from the top of the harness run all the way through the chest structure to guarantee the strength and durability of the harness. 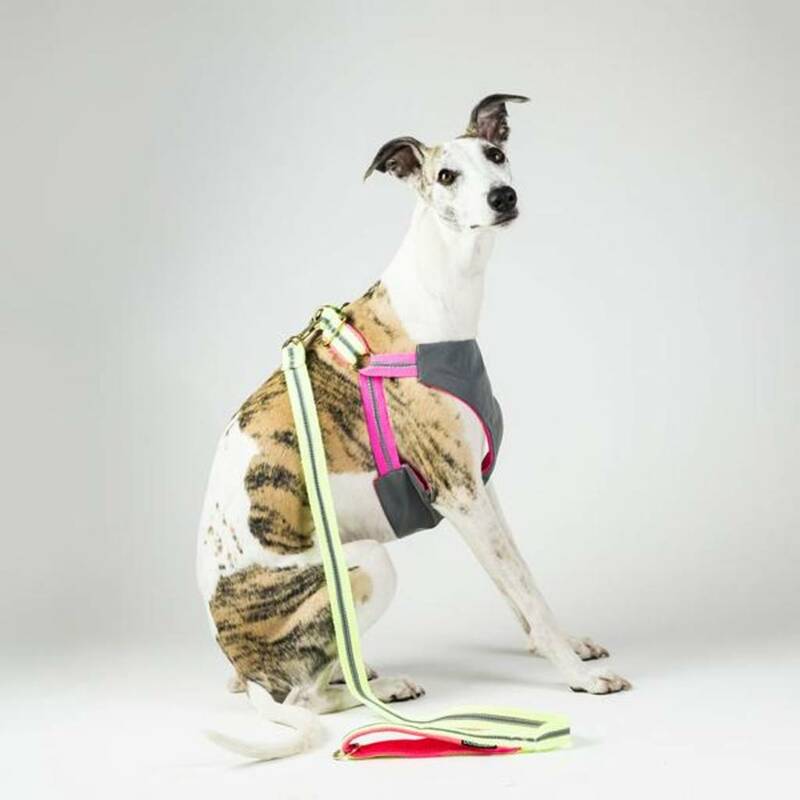 The harness features reflective strips to make your dog visible when walking or running, this is particularly useful on evenings strolls and runs. Please note: the Pineapple Print Harness does not have this feature. The plastic buckle does not bear weight, but it keeps the harness in place when not worn with a lead. This dog harness is available in 3 sizes to fit just about any dog creature. Please always measure your dog, the examples here are general notions, your dog may be need a bigger or smaller size than what is suggested for your dog's breed. This product is dispatched to you by Dogsnug.